My Birthday Song Review: A film that could have been far better and meaningful! Starring Sanjay Suri, Nora Fatehi and Zenia Starr in pivotal roles, My Birthday Song releases this Friday. Read its in-depth review on BollywoodMDB before booking your tickets. My Birthday Song revolves around a Delhi based ad-filmmaker Rajeev Kaul (Sanjay Suri), who is turning 40 and his wife Ritu (Zenia Starr) and close friends have planned a birthday party for him at home. Unfortunately, Ritu and kids fail to make it to the party due to her mother being ill. So, Rajeev is left alone to celebrate his birthday with his friends. At the party, he meets a beautiful girl called Sandy (Nora Fatehi). She looks familiar to him but he is unable to recollect where he has met her before. As the party draws to its end, everyone leaves except Sandy. Before they could know each other well, their raging hormones took over and they hit the bed. Rajeev has no idea what wrong he has done and what are the consequences he is going to face afterwards. Things transcend the distinction among past, present and future leading Rajeev to the point where he cannot trust anyone, not even himself. The film stars Sanjay Suri as the main protagonist. He is a brilliant actor irrespective of the fact that in his almost two-decades long career, he has not got too many opportunities to display the brilliance of his craft. In My Birthday Song, he plays Rajeev Kaul who heads one of the leading advertising firms in Delhi. The character suits him best and he too gives it his hundred percent. His character is vulnerable and, at the same film, complex and full of contradictions. He succeeds in bringing forth the various arcs of his character through his craft. Talking about Nora Fatehi, as Sandy she is decent. Her character in the film is strong and she tries to play it well and looks pretty on the screen. Zenia Starr plays Suri's wife Ritu. She tries to do justice to her character but the main problem is that it is not fully fleshed out. Other actors in the supporting cast are good. 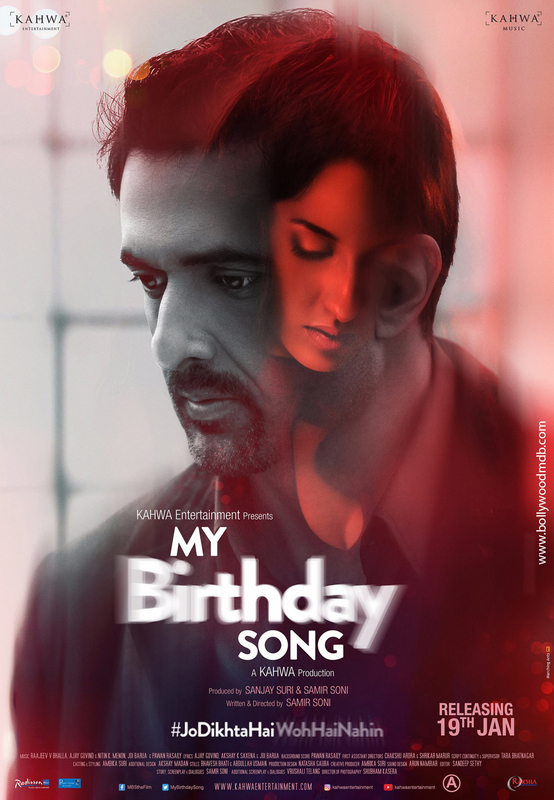 My Birthday Song marks the directorial debut of popular film and television actor Sameer Soni. Sameer has impressed us with his beautiful performances in films like Fashion, Vivah and Baghban. And now, he has gone behind the camera for the first time. As a debutant filmmaker, Soni makes a good attempt. Keeping things minimal and simple, he tells his story. But, surprisingly, the main issue is with his story only. It's way too layered and complex, which at times makes it messy and full of confusion. While the screenplay of the film is good, some dialogues sound childish and funny in situations which are presumably serious. The majority of the audience, no matter whether they live in metros or small towns, won't be okay with how Sameer takes his film to its climax. My Birthday Song is made on a reasonable cost, which reflects in the movie, but not to the extent that it becomes unbearable for you. Always remember that a good film is made using great content, not massive amount of money pumped into it. Talking about other technical aspect, the editing of the film could have been sharper. There are some portions where the film drags unnecessarily. Camera work and production design are good. My Birthday Song has music by Joi Barua. There are two songs in the film which play in the background. Unfortunately, none of them leaves a mark. Neither they do any justice to the narrative, nor to the expectations of the audience which is watching the film in the theatre. Though there was not much scope for too many songs in the movie, the ones which were already there could have been better. If the truth is to be told, My Birthday Song is not a film with a universal appeal. It can attract those who love subtlety in cinema and are fond of stories told without major pretensions. If you think you fall in the category, go and watch the film. ‘Tiger Zinda Hai’ completes 4 weeks run at the box office and other films haven’t affected it a bit! 'Fashion' sequel to revolve around a love triangle?